Note: Not all items are listed so give us a call if you don't see what you are looking for. 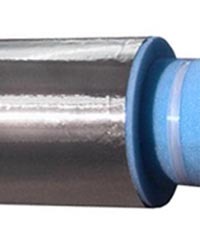 Zeston® 2000 PVC jacketing provides a protective covering for insulated pipe or bare metal. Zeston® 2000 fitting covers are designed to insulate and to provide a protective covering for pipe fittings. Zeston® 300 Series PVC heavy-duty fitting covers and Zeston PVC jacketing are specifically designed for industrial and commercial applications. A variety of fitting covers and jacketing are available in color. ITW Multi-Fit and Ell-Jac® insulation fitting covers are sized to cover and weatherproof insulated 90° and 45° elbows along pipelines. Alumaguard® 60 Insulation Jacketing from Polyguard is a premier vapor barrier, weather barrier and UV barrier in an easy to install "peel n stick" roll membrane. For application below 50°F, Polyguard manufactures cold weather activators to permit installation down to 25®F, extending the northern climates application season. Alumaguard® All Weather Insulation Jacketing from Polyguard is a flexible insulation cladding which combines the self-healing characteristics of rubberized asphalt with the ease of application and cold weather performance of acrylic adhesive-based products. 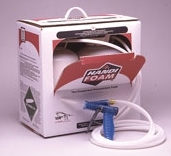 Acrylic adhesive allows installation down to 10°F. Zero-Perm® Vapor Barrier Membrane from Polyguard, is a vapor barrier for installation on cold systems either between layers of insulation on sub-freezing projects such as LNG piping, ammonia, glycol and brine systems and other cold mechanical applications where a superior vapor barrier is needed. VentureClad® jacketing is a self adhesive product used to weatherproof insulation without using additional adhesive or mastics to create a seal. VentureClad® offers excellent resistance to moisture, UV exposure and allows application in a wide range of weather conditions including cold temperatures. 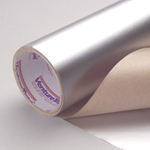 Aluminum Roll Jacketing is recommended for insulated piping, tanks and vessels up to 8 feet in diameter. Deep corrugated sheets are recommended for diameters greater than 8 feet. The stainless steels have a melt point of approximately 2500F providing optimum fire protection. 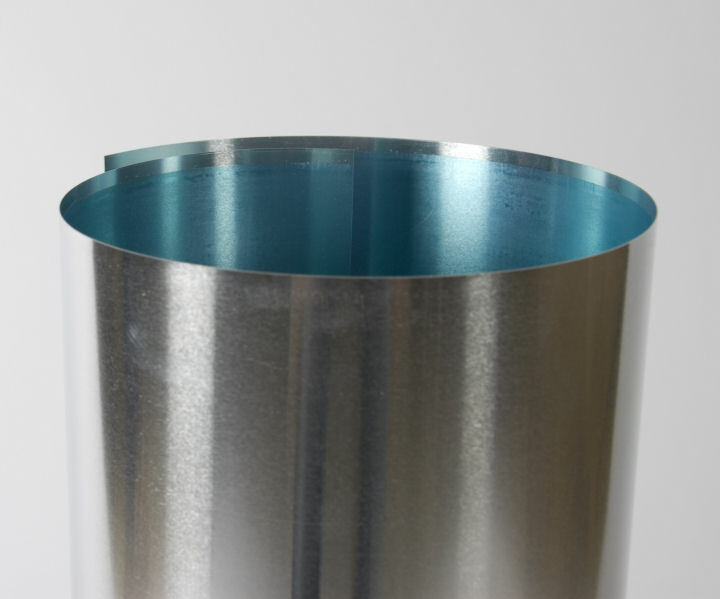 Stainless Steel jacketing is recommended for insulated piping, tanks and vessels less than 8 feet in diameter. Deep corrugated sheets are recommended for diameters greater than 8 feet. 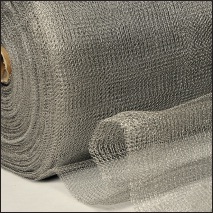 Stainless Steel knitted wire mesh is an ideal material for covering insulation since its flexibility facilitates handling. Its flexibility also permits easier fitting around irregular curves and complex shapes. ASJ (All Service Jacket) is used primarily for pipe and equipment (mechanical) insulation applications as a vapor retarder or facing. FSK (Foil Scrim Kraft) jacketing is used in various insulation applications where a general use vapor retarder or facing is needed. Fiberglass cloth is made from texturized silica yarn. Typical applications include insulation pads, pipe lagging, safety barriers and curtain in light industrial applications. 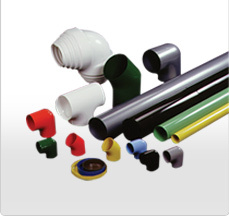 Silicone coated cloth is a fiberglass fabric coated with silver silicone rubber. It has high resistance to heat, abrasion, flexing tears and punctures. Applications include removable insulation pads, protective flange shields and equipment covers, welding curtains and expansion joints.